The Node Command item can be found under the Nodes one, on the left-side menu. A Node Command is a message sent to the Node that describe which action the Node must do. Usually a Node command must be encoded based on the Node's type. 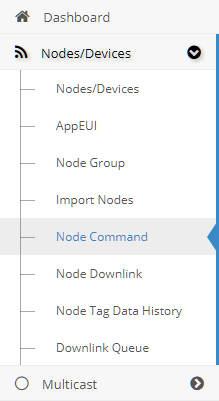 To see the list of all Commands of one Node just select it and they will be displayed.